HomeRobert Soko - BalkanBeats: Shazalakazoo LIVE presenting "Metanational"
BalkanBeats: Shazalakazoo LIVE presenting "Metanational"
Our favorite Balkan event comes back! 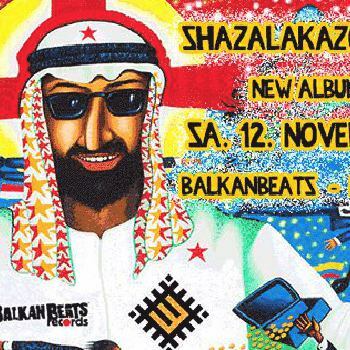 This time, BalkanBeats presents Shazalakazoo and their "Metanational" Record Release Party! Melodies in their album are deeply rooted in their geographic and ethnic origin yet they are so international and global that they go beyond being just Russian, Mexican, Jewish, Greek, Peruvian, French, American, Serbian or Egyptian. They can, with similar ease, correspond with any kind of worldwide audience anywhere. Don't miss the chance to check them out this Saturday, 12nd of November 2016, at Lido in Berlin!